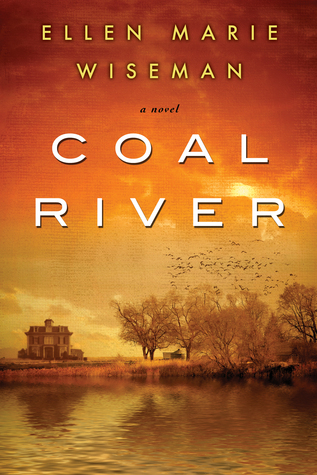 “Coal River” by Ellen Marie Wiseman | Lit.Wit.Wine & Dine. I would like to thank Kensington Books via NetGalley for providing me with a free copy of this book. Our heroine, Emma Malloy, finds herself orphaned after her parents die in a NYC fire. Her misanthropic Aunt Ida and Uncle Otis send her a train ticket so that she can move to their Coal River, PA home. She is haunted by the past as she arrives to the place where her younger brother drowned in the river years before. Before long, though, she becomes saddened and outraged by the working conditions of the breaker boys and the unfairness of the coal mining system. Emma, however, is not afraid to challenge the system and those running it at all costs. She risks everything to help the miners and their families and bring an end to the child labor and unfair and illegal conditions at the mine. This book was a bit of a mixed bag for me. Though I found it to be well-written and a very quick read, there was something lacking in the story that I find it hard to put my finger on. Perhaps Emma was just a little too fearless. Unrealistically so. The ending was also a bit unrealistic. Things wrapped up in too convenient a package. I did love learning about the history of mining and it seems the author did a very good job in researching the subject and being completely believable in terms of the living and working conditions of the miners. I hadn’t read either of the author’s previous novels so I really had no expectations (other than having read the reviews, of course) when I started this one. Though I can’t give it a glowing review, I would certainly read other books by this author in the future.